Hosting or planning a birthday party is never easy, especially when you want it to become the most memorable party ever. As with all birthday parties, the most important thing is it is celebrated with family and closest friends, whether it is a small and intimate affair or a large social gathering. So the first thing to keep in mind is that there must be a cool theme which will bring the birthday celebrant and the guests together. So for those who are a bit lost, I’ve come up with some tips which will give you ideas on how to celebrate or plan a birthday. 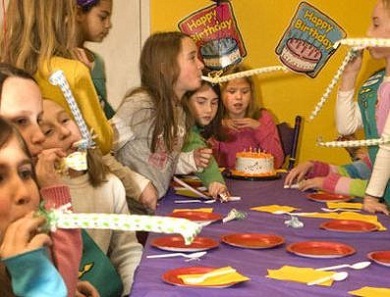 Hopefully, these tips will help you plan and execute a perfect and fun birthday party celebration that will make your celebrant’s day. Depending on the age of the celebrant, birthday themes vary across the ages. For the small ones, opt for themes such as princess themes, cartoon themes, and superhero themes. For the teenage celebrant, however, themes such as their favorite artist or movies like Twilight are popular. If it is an adult who is celebrating, you can choose from various themes also: Hawaiian, Greek, beach party, etc. Remember, the theme must suit the celebrant’s taste and must not be too hard to execute and plan. As expected, the decorations must match the theme. However, it also depends on the age of birthday boy or girl because you can make general decorations which can be used across themes. For example, for kiddie birthday parties, you can opt for the following regardless of their chosen theme: balloons, glitter, streamers, etc. There are many birthday banner ideas to choose from. For older celebrants, you can choose to go with centerpieces and floral arrangements. Decorations vary from theme to theme – just make sure the guests and the celebrant feels like they’re in a special place at a special time! It’s a given that food such as pizzas, spaghetti, burger, fries, and nachos are staple dinners for a kid’s birthday party. The cake is usually suited to the theme or the color motif of the party, but if you want an unusual cake, you can opt for different flavors and shapes instead of the normal chocolate one. For adult celebrants, you can choose to serve appetizers such as dumplings and finger sandwiches; main courses such as roasted chicken, lasagna, and salad; drinks or cocktails on the side; and scrumptious desserts. What’s a party without music and entertainment? Like the food and the decorations, it must be in synch with the theme. Just play the music in the background to set the mood or when it’s time for games! There are also a lot of party games you can try. It can be based on popular television game shows, traditional games such as musical chairs, or something innovative! Whatever games you choose, make sure that everyone is having fun and nobody gets hurt in the process. Remember, your imagination is the limit when it comes to themes, so don’t let anyone or anything stop you from executing that birthday party idea of yours. We hope you have a blast in planning and coming up with the greatest birthday party ever!